The Florentine Museum of San Marco occupies the oldest part of an ancient Dominican monastery, and houses the largest collection in the world of the works of Fra Angelico (Beato Angelico), who lived here for several years. The convent of San Marco is an architectural masterpiece built by Michelozzo by appointment of Cosimo de’ Medici, and was the house of Fra Girolamo Savonarola, who made it his headquarters. It was declared a museum of national importance in 1869. The beautiful spaces that now house the museum are located next to San Marco Church and to the rooms adjacent to the cloister, still used as a monastery. The Museum of San Marco is home to some of the most interesting collections and works of the city of Florence, including the collections moved here from the Museum of Ancient Florence, after the demolition made in the nineteenth century. The visit to San Marco includes the beautiful cells, the Cloister of St. Anthony, the Last Supper Hall, the Refectory and the Chapter Hall. 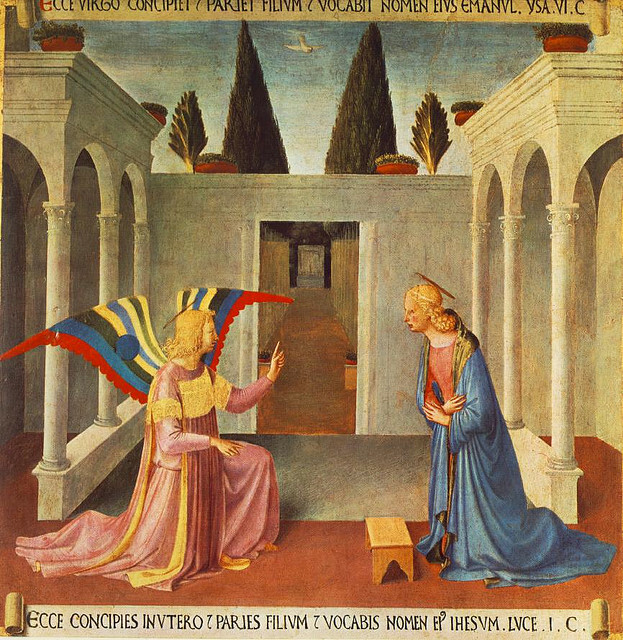 True jewels of the Museum of San Marco are the art works by Fra Angelico, including the world famous Annunciation, a masterpiece of Renaissance painting. The Hospice Hall is enterely dedicated to Fra Angelico and features the Deposition of Christ, the San Pietro Martire Triptych, the Annalena Altarpiece, The Last Judgement (1431), the San Marco Altarpiece, the Madonna and Child, and the Tabernacle of the Linaioli. The second floor houses the old monks’ cells, decorated with frescoes of great fame and beauty. Made between 1438 and 1446, they bear witness to the more mature phase of the art of Fra Angelico and are an example of absolute modernity and sophistication, never made in a monastery before. Complete the rich collection of the museum of San Marco, its fabulous Library (1437-1444) which houses priceless manuscripts belonged to the Medici family and to personalities such as Pico della Mirandola and Agnolo Poliziano. Lorenzo The Magnificent promoted the growth and enrichment of the library, which was one of the main forges of Renaissance culture and houses many volumes of manuscripts in Latin and Greek. San Marco Museum also features a large number of other art works of priceless historical and artistic value, such as the Last Supper (Ultima Cena) by Ghirlandaio, the Madonna della Cintola by Ridolfo del Ghirlandaio, the Madonna and Child by Paolo Uccello, the famous portrait of Girolamo Savonarola, and several glazed terracotta made by the Della Robbia School. The church of San Marco, adjacent to the Museum, is very charming as well. Several centuries ago, it had a famous bell attributed to Verrocchio, called by the Florentines la Piagnona (the crybaby). The story of the bell is intertwined with that of Fra Savonarola: it was accused of playing an alarm during the arrest of the friar, so it was punished with exile in the church of San Salvatore al Monte, where never rang more! In 2000 it was moved back to the monastery of San Marco. Closed: 1st, 3rd and 5th Sunday and the 2nd and 4th Monday of each month, Christmas, New Year, May 1st.